Is your vehicle equipped with a push to start ignition system? Do you need to have an extra key fob made for your car, van, or light-duty truck? If so, call us here at Quality Key Locksmithing in Witchita, KS before you pay those inflated prices for proximity fobs from your local dealership. As a fully insured, registered, and certified mobile auto locksmith, we’re committed to providing you with an affordable and easy way to purchase extra keyless remotes for your vehicle. We have the specialized skills, high-quality equipment, and hands-on experience it takes to quickly program new prox fobs for virtually any type of imported or domestic automobile, and we stand behind all the work we do with our service guarantee. Proximity fobs use short-range radio transmitter which sends an encoded radio frequency (RF) signal to a receiver located inside the car, which in turn locks or unlocks the car doors. This RF signal usually connects with the receiver via multiple antennas when the vehicle and car remote fob is within about 25 feet, however, the distance at which a specific prox fob will work varies depending on the make and model of vehicle. As you approach your push-to-start equipped vehicle with your car remote fob, the antennas transmit information to the onboard computer to unlock the doors when you grab the door handle or swipe your foot beneath the liftgate sensor. Once you’re seated inside the car, the same system sends a signal to the receiver module to disable the built-in engine immobilizer and allow the engine to turn over with the push of a button. If the battery in your car remote fob doesn’t have enough power to transmit a signal to the receiver unit in your car, you may not be able to use the keyless entry feature on your vehicle. The good news is that most auto manufacturers include a small metal key shaft within their proximity fobs that can be used to manually unlock your doors and start your car. It’s a good idea to read through your owners’ manual to learn how to use this emergency backup system in case your prox fob ever stops working. 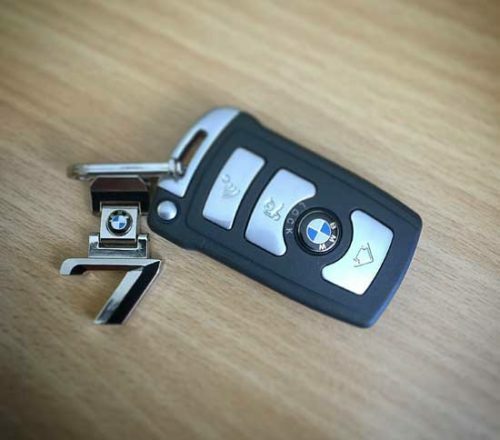 When you need help with your prox fobs, want to have an extra car remote fob made, or need repairs to your push to start system, call us here at Quality Key Locksmithing. We take pride in providing drivers throughout Wichita, KS with fast, professional auto locksmithing services, and we’re committed to honest, fair pricing on all of our products and services.